White Rainbow is pleased to announce the participation of Chim↑Pom and Chu Enoki in the Busan Biennale 2016: Project 1 an/other avant grade china-japan-korma. Busan Biennale is one of the largest celebrations of contemporary art in Korea and brings together more than 100 artists from 22 countries in the port city of Busan. The theme of the 2016 edition is “Hybridizing Earth, Discussing Multitude,” highlighting East Asian experimental art trends and their historical significance. 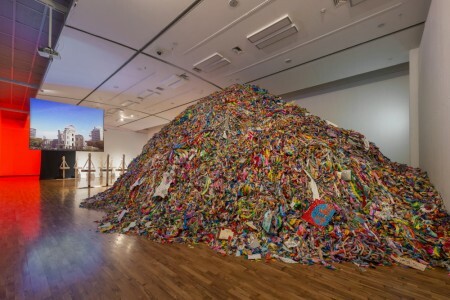 The biennial explores major contemporary art movements in Korea, China and Japan, influenced by 20th century historical events such as the Cultural Revolution and Tiananmen Square incident in China, the atomic bombing of Hiroshima in Japan and the democracy uprising in Korea. The show is curated and presented by a curatorial team that consists of Korean, Chinese and Japanese curators.